In the era of globalization, billions of people depend upon the cost and timing of commodities and goods transportations. Economic and political turmoil make it more complicated for freight forwarders and logistics chain operators to meet the challenges of the fast developing world. It is our purpose to help the trade grow and help logistics operators to transport more products with less cost in most environmentally friendly way. Our innovative supply chain solution is focused on FLEXITANK TECHNOLOGY. Unlike many other flexitank operators in the market, we are more than just a flexitank supplier or service provider. We deliver cost-effective and comprehensive solutions for transportation and storage that fit any supply chain, eliminate complexity, make it transparent, simple and efficient. Whatever your logistics goals are, BeFlexi has unique features that make us an outstanding and reliable global flexitank partner, the one that you can trust. BeFlexi is a new name. 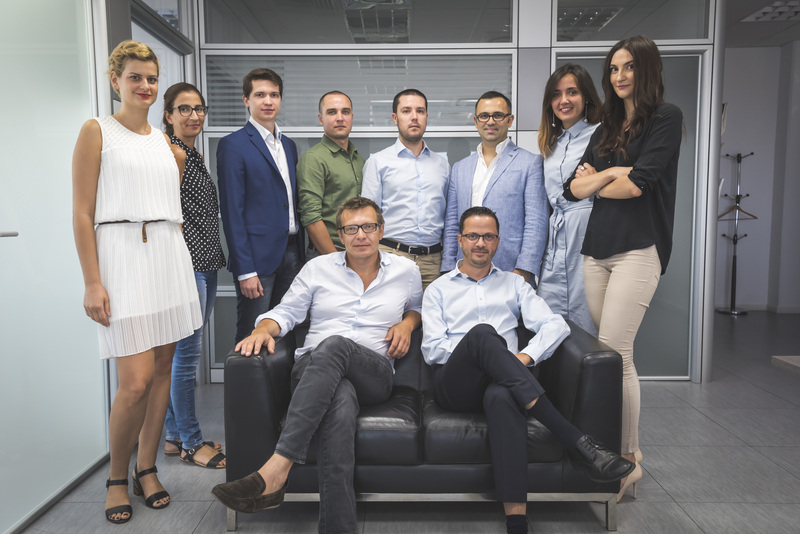 Since 2014 our team is fully focused on flexitank services, technological development and possibilities that the technology is bringing into the daily life of manufacturers, producers, blenders, small and medium businesses around the globe, those working hard to produce and transport goods that we all consume. They deserve fair opportunities in trade and decent profits. As a young company, we are lucky to find people and business partners who share our values and goals, bring expertise and best strategies into practice. A team of professionals with logistics and commodity trading background, sharing same goals and visions join their efforts to focus on flexitank business. We continued to introduce the flexitank technology to our existing clients, logistic and financial partners, many of whom were unfamiliar with the technology and its advantages. From the very first steps, we made sure we choose the most reliable supply partners. Our flexitanks are manufactured on ISO 9001-2000 and ISO22000 accredited manufacturing facilities. BeFlexi signs the strategic partnership agreement with SGS, world’s leading inspection, verification, testing, and certification company. Our geography of flexitank installations and technical services has been increased to 1,800 destinations worldwide. We could bring our quality and safety control procedures to the highest level. We believe that our procedures are the most stringent and strict within the industry. BeFlexi sets permanent stocks in 11 strategic port locations where flexitank products are held and are available immediately: Antwerp (Belgium), Naples (Italy), Riga (Latvia), Leixoes (Portugal), Rotterdam (Netherlands), Gdansk (Poland), Novorossiysk, (Russia), Odessa (Ukraine), Valencia (Spain), Port Klang (Malaysia) and Istanbul (Turkey). We will continue our stocks expansion in Latin America, South East Asia, and Africa. BeFlexi is welcomed to join COA Technical Working Group (TWG), responsible for the development of standards and best-practices within the flexitank industry, thus recognizing BeFlexi competence in the industry’s leadership. We have developed and introduced flexitank "supply and fit packages", supplemented by additional services that respond to particular requirements of various industries. From our previous trading and supply management experience, we know the particular challenges which various types of businesses face. While a trader and a freight forwarder are both involved in logistics chain of the same commodity, their demands are different when it comes to a flexitank service. In response to the complexity of a modern supply chain, we managed to deliver standardized solutions, which are easily implemented into logistic chains, eliminate complexity, provide cost-efficiency and transparency. We believe we can do a lot to change the way people think of logistics. Our team includes professionals with more than 20 years experience in logistics and trading, chemical engineers, technical staff, our partners and many other specialists, who come from a variety of backgrounds and work together towards the same goal – sustainable logistics to our growing world. While we have the new brand, the history of our company goes back to a ship owner and chartering company - Soumelon, that was involved in shipments of crude oil, naphtha and diesel oil as well as floating storage operations. The company was handling multimodal transportation and storage operations, container shipments and bulk vessel chattering, were involved in trade finance, terminals and shore tank storage facility maintenance and upgrade projects. BeFlexi has inherited know-how and experience from its predecessor, as well as long-lasting partnerships and client connections. We are proud to keep business relations with our partners for many years, successfully bringing them into new levels and new projects. We are committed to create transparency with customers and partners and to take responsibility for achieving agreed-upon results.